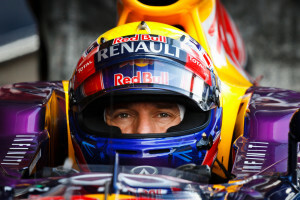 What Do Data Analytics Have to do with F1 Racing? —How 0.1 Seconds Can Be the Difference Between Success and Failure! At the recent VMWorld event in Europe, Michael Taylor, the deputy IT director for the Lotus F1 Team talked about the importance of trackside analytics and how it can give their race engineers a significant competitive edge. Taylor was quoted in this article saying, “For the engineers a tenth of a second makes a difference. For instance if it takes 80 seconds for a driver to do a lap and it takes 80 seconds to process a lap, taking a decision to bring the race car into the pits could be impacted as the driver may have to do another lap before pitting. If we reduce the cycle time we can improve our race strategy.” He explained further how having data where it is needed at the right time can be the difference between winning and losing a race. In this age of information @ the speed of light, we are often swamped with mounds of data. We don’t know what to do with it most of the time. Yet, so much time, effort and resources are wasted on gathering it. Not to forget the countless hours of discussion and pondering that go into sourcing better tools and platforms. The “shiny object syndrome” is becoming typical among many C-Suite Executives today. It is time to shift the paradigm. There is a message for B2B marketers in what Lotus F1 is doing—and this is an organization that exists to win at world-class racing—so they should know! The outcome of data analytics, just like the outcomes of every other critical component of business, is not platform-dependent, it is process-dependent. You can have all the latest tools and the most advanced analytics platforms—a.k.a. the new, shiny toys—but if the data cannot be accessed by the right people at the right time in the easiest possible manner, it is of no use and it won’t impact your bottom line. That’s no use to anyone (except perhaps the vendor of that platform who now has reams of data to justify the high costs). What the C-Suite needs to think about instead, is how the data is processed and whether or not it can deliver the insights that are required to make the company’s overall business strategy more efficient, more effective and more profitable. Data that is available in marketing automation, website analytics, marketing resource management, or sales automation systems is restrictive and typically, stuck in silos. Due to this reason, it is focused on improving systems and efficiency rather than improving the business process and overall effectiveness. Simply using tactical tools and a variety of platforms is not sufficient to implement a refined and optimal business strategy. As a matter of fact, it is, in my opinion, detrimental to rely on tactical tools. Best-in-class companies consider big data and predictive analytics central to their marketing strategy. Here is a neat Infographic showing statistical evidence that this approach really works.